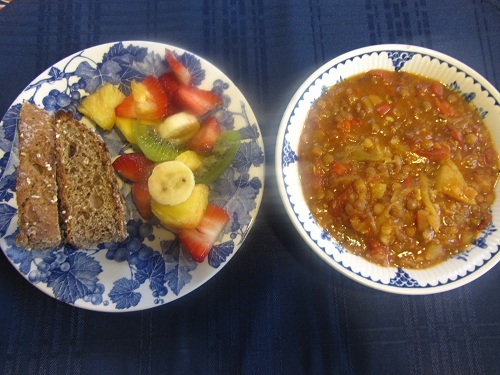 This lentil cabbage stew is a great substitution for corned beef and cabbage for your Saint Patrick’s Day celebration. 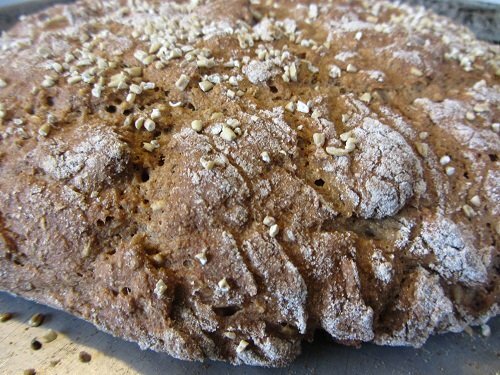 It’s spicy and paired with a healthy loaf of Irish soda bread is a healthy dinner meal. It won’t leave your kitchen smelling for days to come either! Feel free to add anything to the recipe that sounds good to you. You might add chopped kale or spinach, instead of the cabbage! 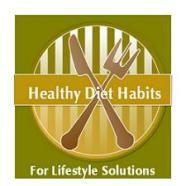 Don’t be afraid to make substitutions, if you do not like a vegetable or spice! Simply leave them out or substitute another one that sounds like it will go nicely. The cayenne pepper gives this stew a kick, so if you don’t want that, leave it out! The lemon is the secret ingredient. 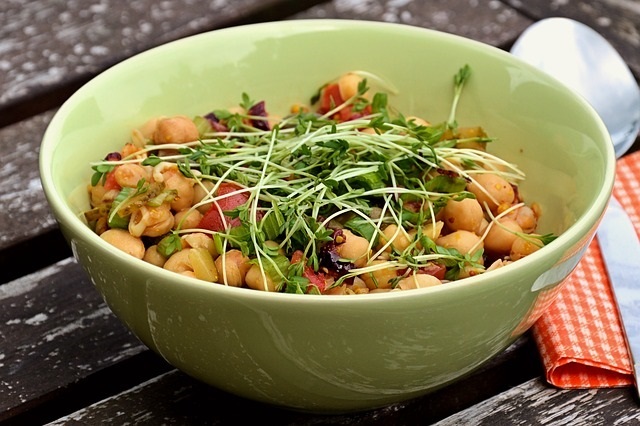 Add it at the end and the entire stew comes alive, to your taste buds that is! Wash 1 cup of lentils. Place them in a soup pot and cover them with water to double their height in the pan. Place them to boil and reduce the heat and simmer them for 15 minutes or so, while you prepare the vegetables. Remove the lentils from the pan and drain them. Add oil to the pan and gently fry the onion and garlic for a few minutes. 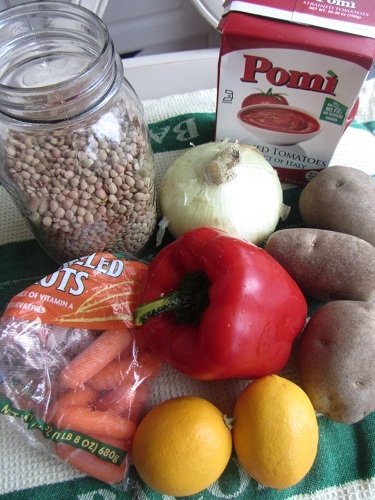 Add the lentils, vegetables, broth, tomato puree, and tomatoes. 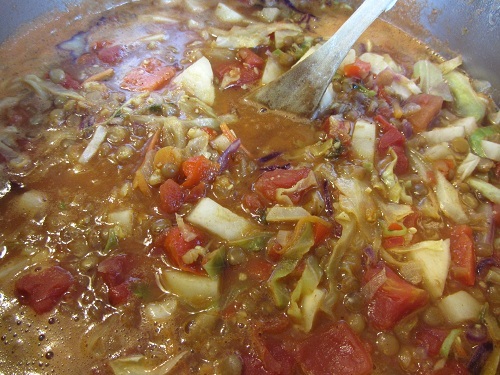 Return to a boil, cover, lower the heat, and gently simmer the stew until the lentils and vegetables are tender. Stir the stew every ten minutes or so to avoid sticking. 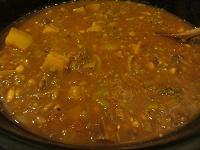 The stew should take about ½ an hour to an hour to cook, depending on how high you simmer the mix. When ready to serve, squeeze in the juice of a lemon and mix it in well. 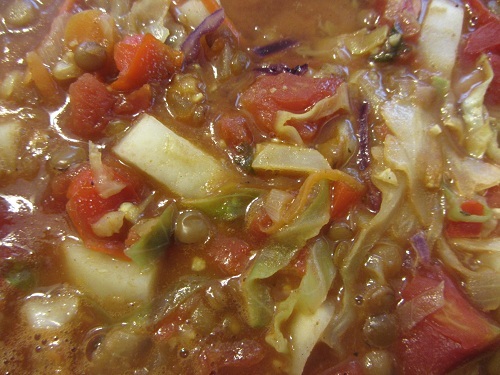 If the lentil cabbage stew seems very thick, you can add a bit of water to thin it down. I did not need to add water, but if you simmer it at a higher temperature, you may need to. Use care because lentils can easily stick to the bottom of the pan and burn. It’s such a great stew; that would be too sad! I paired this with a loaf of Brown Soda Bread made with Steel Cut Oats and a fresh fruit salad. I guarantee you that meat lovers will eat this stew up because it is very hearty and filling! 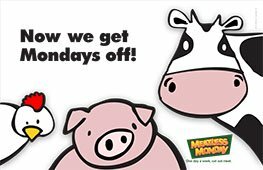 It’s a healthy diet habit to reduce meat in your diet, and throw an occasional vegetarian specialty in there, or adopt the Meatless Monday regime!